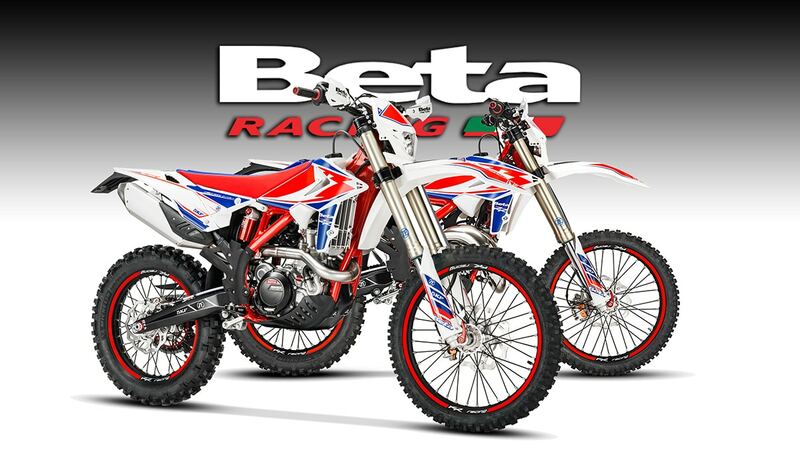 Beta has just announced its Race Edition off-road models. In the case of the four-strokes, this means dirt-only models without EPA emission and noise restrictions. In the case of the two-strokes, it means lighter bikes without oil injectors for the purists. Here’s the official Beta announcement. The 2019 Beta RR Racing Editions have arrived! 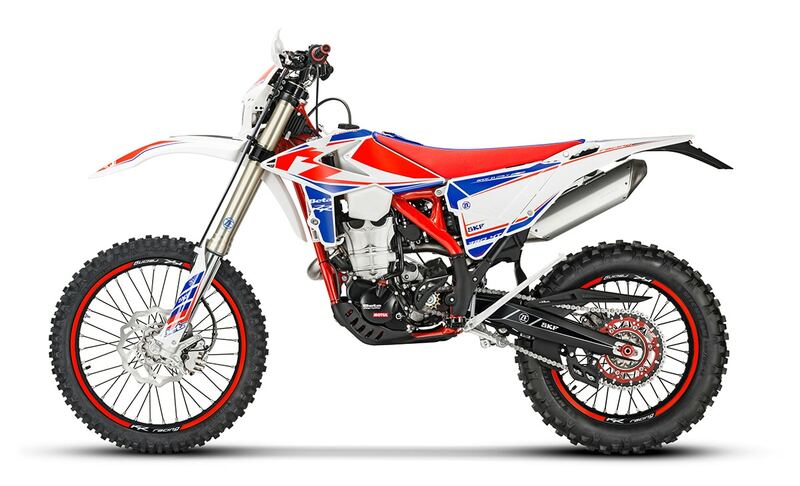 These Italian thoroughbreds are based from the standard RR models yet offer distinctive features found only on race bikes and are manufactured to the same specifications that Beta Factory rider Steve Holcombe used to become 2017 Enduro GP World Champion and allowed Beta to clinch the Enduro GP Constructors’ World Championship title. 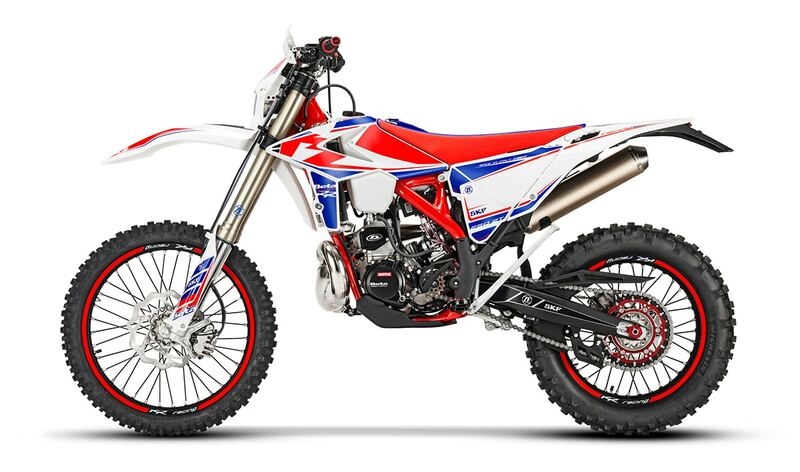 They are also the models that Beta USA factory rider’s Max Gerston, Michael Witkowski, and Newly-Crowned 250 Hare & Hound Champion Chance Fullerton used to compete in all of the AMA Championships in 2018. Sachs 48 mm closed cartridge fork with anodized slider: stiffer and more resistant to wear, while providing less friction. SKF low-friction fork seals and wipers are also installed. Fully redesigned ZF Sachs shock: with more compact 46 mm piston, about ½ lb. lighter. The new piston has been designed to ensure more stable operation as the oil temperature varies, while increasing sensitivity to enhance comfort and traction. The small upper base and reservoir have also been redesigned to be farther away from the exhaust pipe while minimizing weight. The new spring is also lighter. Quick-release front axle pull: speeds up tire repairs, saving precious seconds in race situations. 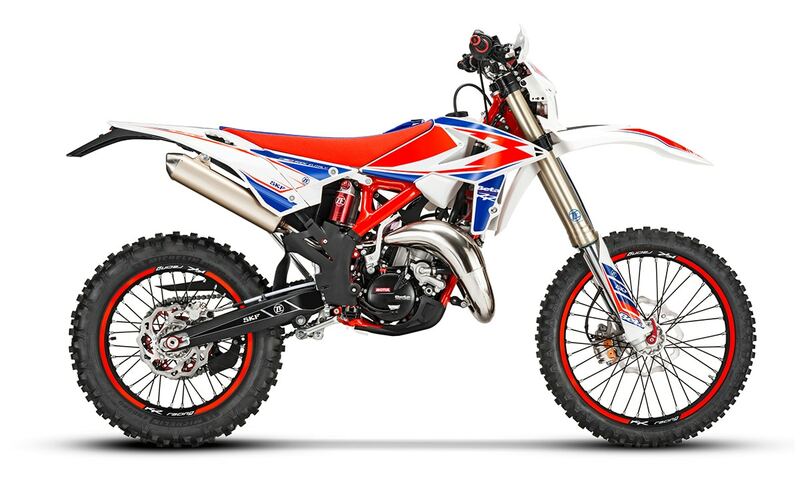 Moto-Style hand guards: modern design, tough and “In-Mold” graphics; ideal for extreme off-road riding. Black Aluminum footrests: light yet strong, wider than the standard model’s steel pegs to ensure maximum, long-lasting grip under all conditions.